It was last month when Benelli India launched two new ADVs - TRK 502 and TRK 502X in the Indian market at Rs 5 lakh and Rs 5.4 lakh respectively. Marking its entry into the adventure space, the company has officially announced that it has received 150 bookings for TRK 502 and TRK 502X for the only ADV offerings in the portfolio. According to the details provided by the company, Benelli India bagged 85 units for TRK 502X and 65 units for TRK 502. Benelli TRK 502, TRK 502 X Motorcycles Launched in India; Prices Start From Rs 5 Lakh. 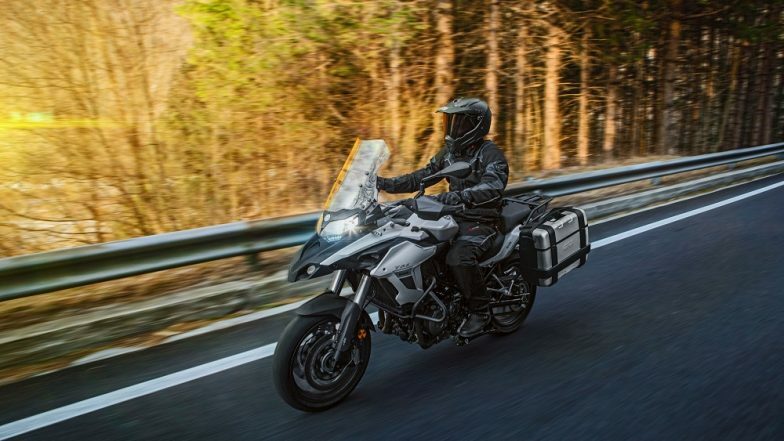 Both the adventure motorcycles share the same frame as well as engine options. They are powered by the same 499.6cc, liquid-cooled parallel-twin engine that is tuned to make 47.6PS of maximum power with peak torque of 45Nm. The engine is mated to a 6-speed transmission. The Benelli TRK 502, TRK 502X Adventure motorcycles compete against Kawasaki Versys X-300 and forthcoming KTM 390 Adventure. The company is also offering Benelli merchandise worth of Rs. 10,000 and accessory vouchers available, which is valid till 31st March 2019. Moreover, the company is also making constant effort to boost its dealership reach across the country. Taking this in view, the company has strengthened its dealership network to 18 showrooms. The bike manufacturer has announced new facilities in Chennai, Delhi, Mangalore, Kolkata, Guwahati, Vadodara, Vijayawada and Goa.